The subject of the Islamic caliphate elicits intense emotions and reactions. On the one hand, Western elites have a propensity to reduce the subject to a debate on extremism and radicalisation, and on the other, they dismiss it altogether as an impractical dream pursued by eccentric ideologues. Even in academia the subject is often treated as an abstract idea - and by extension an unattainable goal - consequently dismissed as undeserving of serious and sustained debate. 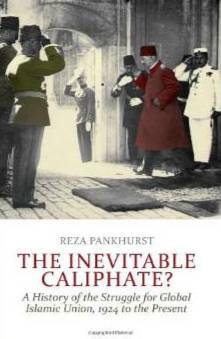 It is in this context that political scientist and ideologue Reza Pankhurst's The Inevitable Caliphate? A History of the Struggle for Global Islamic Union, 1924 to the Present marks a refreshingly original contribution to this misunderstood subject. Whilst Pankhurst has produced a scholarly treatment of the subject, he is by no means a disinterested observer, as evidenced by his ideological affiliation to the pan-Islamic organisation Hizbut Tahrir and the resulting personal sacrifice of enduring four years of imprisonment in Egypt. The book's biggest flaw is arguably the author's reductionist approach toward the potential constituency of the caliphate inasmuch as he appears to limit this constituency to mainstream and orthodox Sunni Muslims. Pankhurst's apparently cavalier treatment of the Shiite concept of Velayat-e-Faqih (Rule of the Islamic Jurist) is problematic in so far as the latter is viewed by many Muslims as the embodiment of the politics of pan-Islam and arguably an eccentric variant of the caliphate doctrine. Furthermore, as the cornerstone of the Islamic ruling system in Iran, Velayat-e-Faqih has occupied the commanding heights of politics in that country for nearly four decades, whereas in stark contrast the realisation of the classical caliphate remains at best a distant prospect. The author dedicates an entire chapter to examining the intellectual and ideological struggles immediately before and after the abolition of the caliphate by Turkey's Kemal Ataturk in March 1924. Whilst Pankhurst doesn't set out in sufficient detail the differences in both form and function between the classical and modern caliphates (embodied by the Ottoman Empire in the final stage of its existence), he appears to recognise the jurisprudential, political and ideological contradictions pursuant to the modern caliphate's symbiotic relationship with the ailing Ottoman Empire. Furthermore, the author provides useful details on the politics and intellectual climate of the 1920s both in the epicentre of political Islam at the time (Turkey) but also in the Indian subcontinent where the idea of the caliphate had been appropriated and utilised by local interests. Moreover, Pankhurst does a good job in capturing the naivety of people who erroneously thought that the death of the caliphate as a ruling political institution equated to the death of a doctrine central to Islamic political theory. The bulk of the book is dedicated to examining the relationship of three major Islamic movements with the caliphate, specifically the extent to which these movements have adopted the caliphate as the central feature of their Islamic revivalist discourse and programmes. The movements in question are the Muslim Brotherhood, Hizbut Tahrir and al-Qaeda. Implicit in Pankhurst's description and analysis of these movements - from their inception to the present - is the idea that the half-hearted adoption of the caliphate is merely incidental to the doctrine and programmes of both the Muslim Brotherhood and al-Qaeda. In contrast, as is widely known, Hizbut Tahrir's primary quest is the re-establishment of the Islamic Caliphate. It is difficult to find too many faults with Pankhurst's detailed and clear-sighted description and analysis of these movement's origins, ideological development and political posturing. One drawback is the author's elite-based approach to studying these movements, which zooms in on the leaders at the expense of rank, file and periphery. With Hizbut Tahrir and al-Qaeda, this is not a major problem inasmuch as these movements are comparatively cohesive and bereft of a mass base. With regards to the Muslim Brotherhood, while Pankhurst portrays the founder Hassan al-Banna in a positive light, his appraisal of the movement as “agents of the status quo” will strike many as unduly harsh. More specifically, the author neglects to contextualise the Muslim Brotherhood's engagement with the caliphate in relation to both the leadership deficit that bedevils the Brothers and the intensifying political and ideological disconnect between the grassroots and the leadership. The chapter on the more eccentric and peripheral movements, some founded and based outside the Muslim world, is both informative and thought provoking. However, the most pertinent point is not necessarily these groups' peculiar conception and adoption of the caliphate, but their innovative approach to issues related to the welfare and identity of Muslims. Whether knowingly or not, the author gives credence to a growing perception that Muslims living in the West appear poised to develop into a major intellectual and possibly even ideological force in the future with the potential to innovate ideas and trends which are in turn adopted by people in Muslim-majority countries. In conclusion, the author makes a forceful and authoritative attempt at elevating the caliphate debate to a more immediate and practical footing in the context of what he calls an “alternative history”, namely one free from the constraints of comparative analysis to Western normative standards and paradigms. What is not sufficiently clear is the extent to which contemporary Islamic revivalists are either actually or potentially invested in the caliphate doctrine. Whilst nearly all Islamic revivalists idealise Islamic political union, there is less agreement on the form of this unity. Pankhurst's unique contribution is that he forcefully challenges the widespread notion that in view of multiple daunting challenges, the revival of the classical caliphate is beyond reach. This is a good foundation on which to develop a more well-informed and less sensational debate on the subject. This article was originally published by Religioscope. Published with permission.